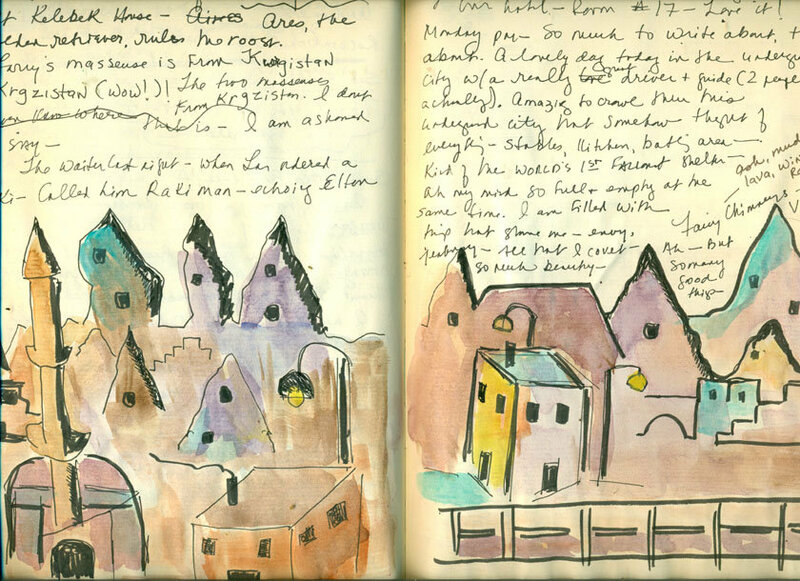 Travel journals spark so many wonderful memories that you might otherwise forget. 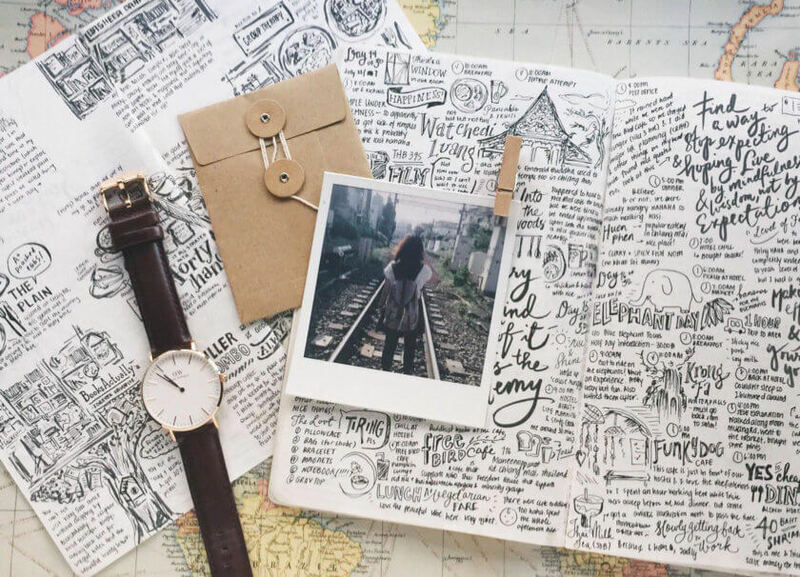 But amid all the excitement of new adventures, journaling can sometimes fall by the wayside. Often it’s much easier and quicker just to take a few snaps as mementos instead. I’ve been thinking more and more about the benefits of keeping a travel sketch journal. Rather than rushing from place to place taking hundreds of pictures, drawing slows things down. It means taking the time to truly observe what’s in front of you. I’m obviously not planning to abandon my camera. But on my next trip I’m going to keep a travel sketch journal, where I do a picture a day to record the sights, smells and sounds of the places I visit. Daunted by the prospect of getting started? Me too! But fear not, I’ve pulled together inspiration and tips from some awesome female travel sketchers. So next time don’t forget to pack a notepad, pen and some watercolors! You get a real sense of the culture of a new place by observing people going about their daily lives, unaware that they’re being watched. 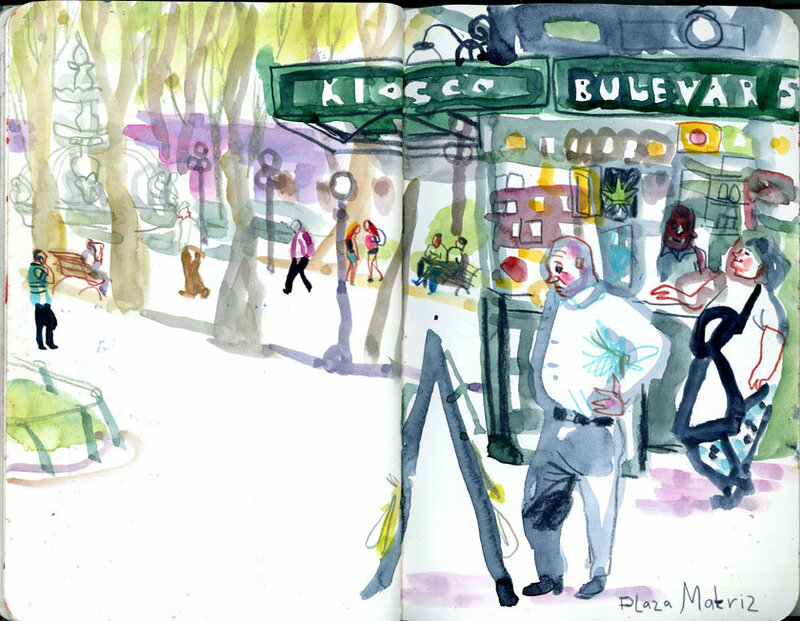 Marina Grechanik’s urban sketches capture these moments perfectly. Her bold and spontaneous pictures illustrate the expressions, postures and movements of strangers, giving us an insight into their lives. 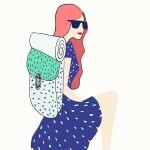 Marina says: “Sketching is one of my passions. Everywhere I travel, I take my sketchbook along with me. 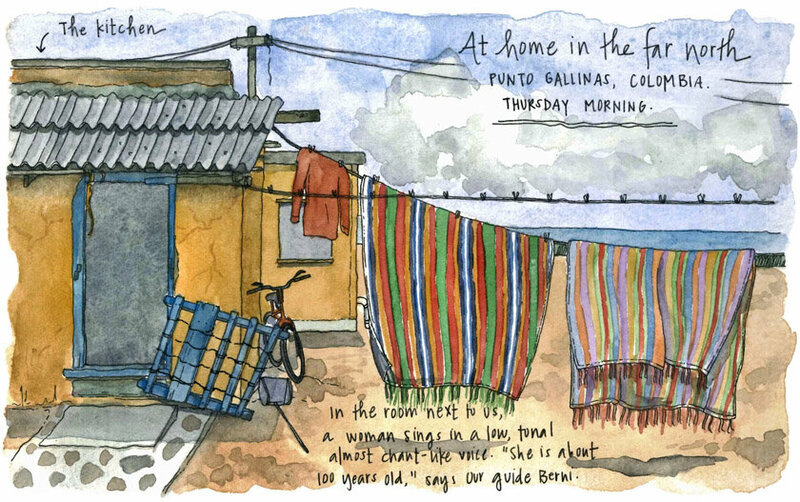 But the real essence of urban sketching for me is finding stories in everyday routines. A sketchbook and a simple pen – that’s all you need to go on a journey every day! Drawing is seeing, so you just need to open your eyes wider and start to sketch! 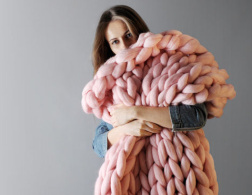 Apurva Pandhi trained in lifestyle and accessory design before discovering a love of colour, painting and drawing. 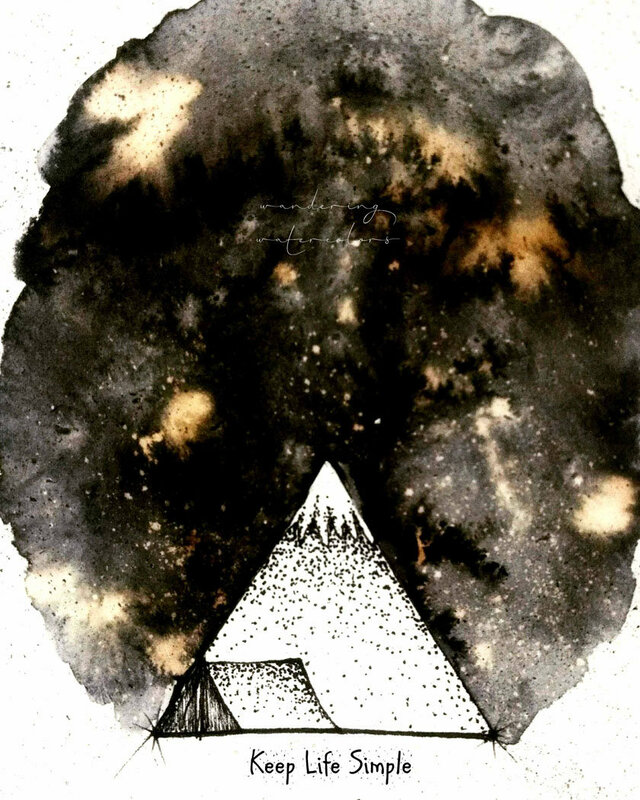 Her beautiful watercolors of nights under the stars capture the feeling of being alone in the middle of nowhere. 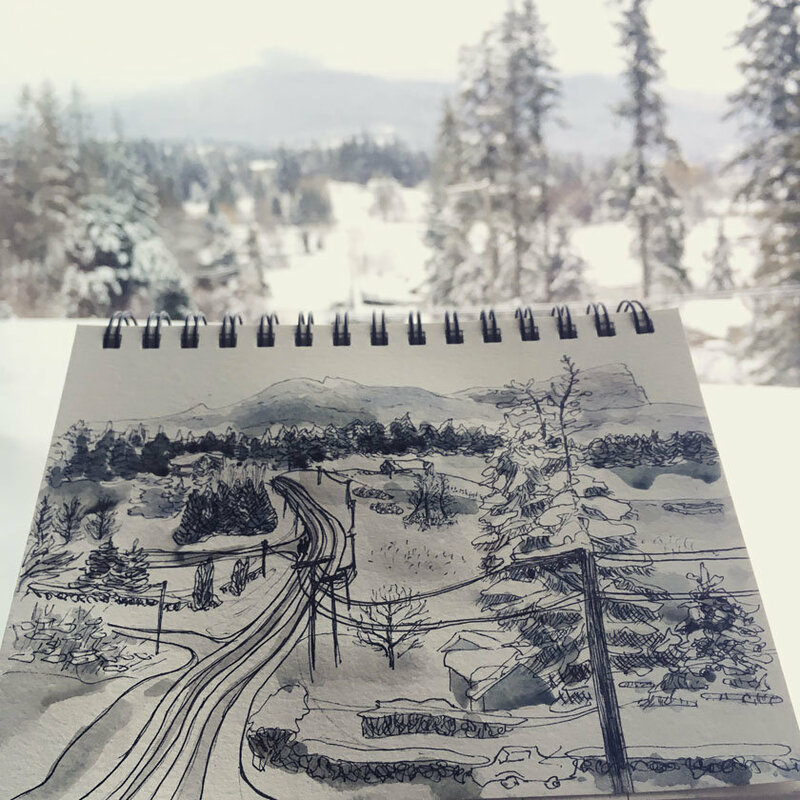 For sketch artist Candace Rardon, keeping an illustrated journal helps her to feel a greater sense of connection with a new place and to preserve unique memories of her time there. 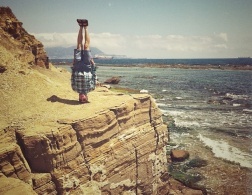 Candace says: “I am constantly inspired by the chance to capture my own unique vision of a place. In an age of smartphones and Instagram and photography, it’s incredibly refreshing to be able to arrive in a new place and create images that no one else in the world will have in exactly the same way. “I start with a simple pencil outline, fill in the details with a waterproof drawing pen, and finally bring the sketch to life with color, using my Winsor & Newton watercolor compact set. For me, these three steps also mirror our experience of absorbing a new place for the first time: beginning with our general impressions at first, and slowly working our way towards more detailed perceptions. For environmental scientist turned artist Sunita LeGallou, the art of sketching is in truly immersing herself in the surroundings. Following in the footsteps of Monet, she paints landscapes en plein air. And she even creates watercolours during live music performances. 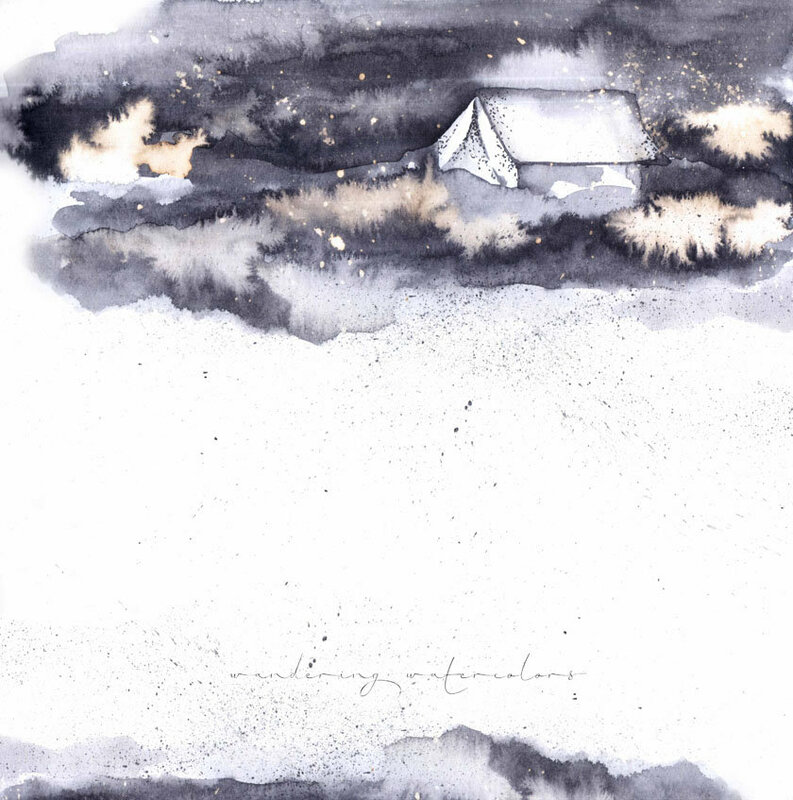 So whether you’re sat alone on a craggy outcrop in the mountains or huddled in the corner of a bar listening to an amazing local musician, think about whipping out your sketch book and creating a visual record of your how you’re feeling. Sunita says: “Travel painting is very meditative for me. It’s a way to soak up the feel of a place – the wind, the sounds, the smells – and simply be present. These sketches have definitely become my most precious souvenirs. “Painting to music and painting a travel landscape are similar in a few ways. I’m trying to respond very intuitively, and paint a ‘feel’, whether that’s for a place, a song, or a poem. I work very quickly and loosely, and I don’t preplan a lot. My aim is to listen to the music, or look at the landscape, and just respond on paper with whatever springs to mind. Remember traveling as a child and experiencing a sense of wonder at everything? 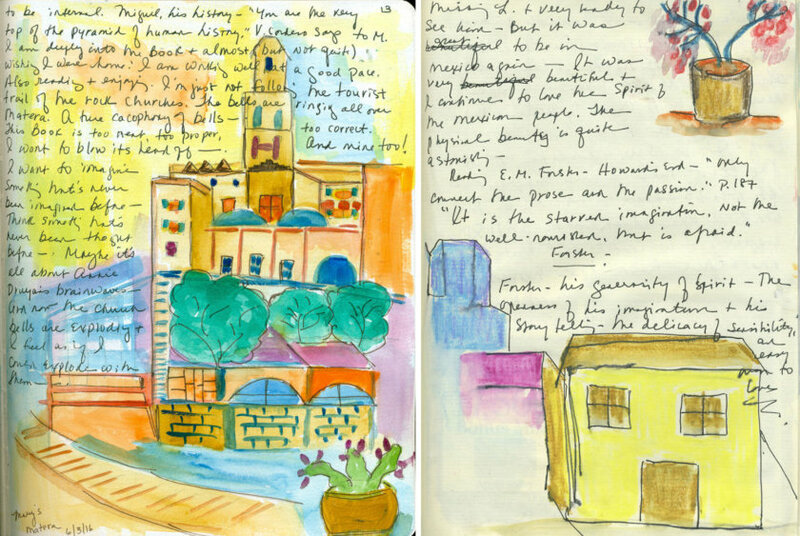 Novelist and travel writer Mary Morris emulates that sensation in her travel journals. 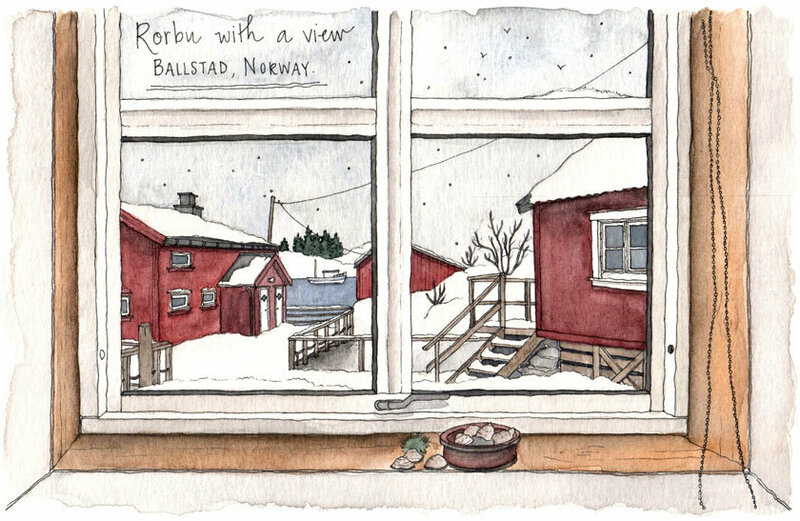 Alongside written reflections, she includes playful watercolor sketches that allow her to experience the world with childlike curiosity and imagination. Mary says: “Basically I don’t know how to draw and have never had art lessons. I think I paint more like a child. I am truly happiest when I am writing and drawing in my journals. I have over 70 of them that I’ve acquired over many years and they all bring me joy. Whether you’re visiting the surreal Guggenheim in Bilbao, the majestic Vatican in Rome or a tiny village in the middle of nowhere, the architecture tells a story about the history and the people of each place. 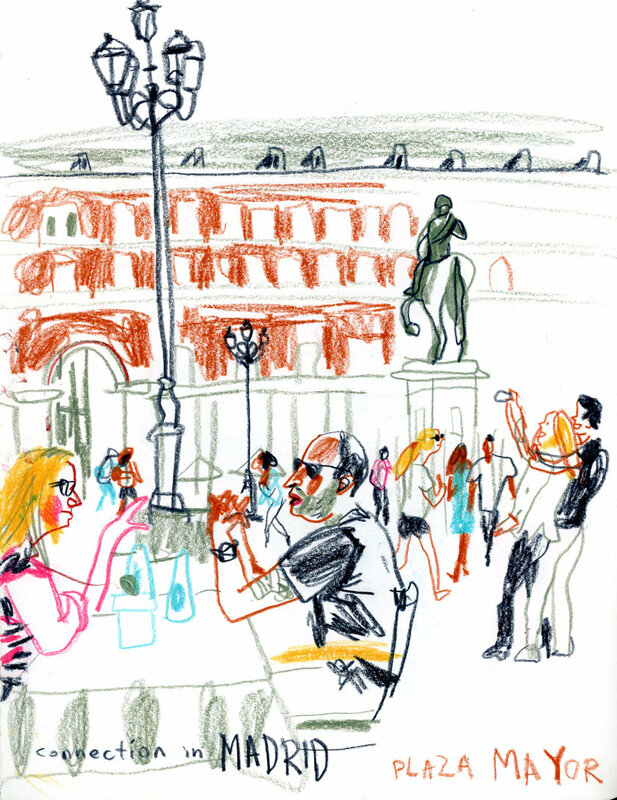 Artist and author Abbey Sy‘s beautiful and intricate sketches detail her impressions of famous landmarks, as well cute cafes and neighborhoods that are off the beaten track. 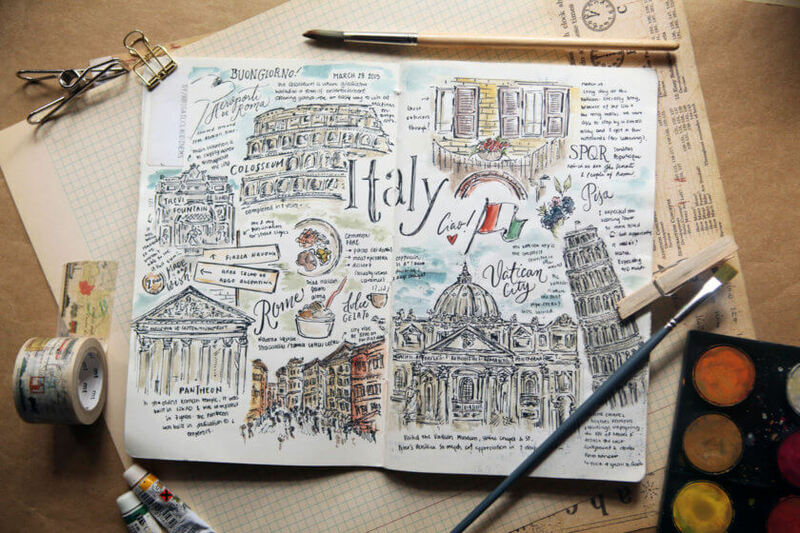 Do you keep a travel journal and have any tips you’d like to share? Or do you know any cool travel sketchers I should check out? Tell us in the comments below! I do keep a travel journal! I write in it religiously, but usually at the end of the day only as I like to be in the moment when I do go out. Usually I fill pages and pages with just writing... it looks like a novel by the end of my trip ahaha! I often forget that travel journal does't just need to be writing. Sketching and drawing are some of my favorite ways to capture moments! These are so gorgeous! I always put so much pressure on travel journal sketching and I find starting a simple collage with pieces of things you've collected along the way helps me with the rest of the page. I keep a journal! If I don't, I forget all the details.... especially with food. It helps me with blogging about the experience. And plus, I just feel cool having a beautiful leather bound journal to carry around. My friend and work teammate is an incredible sketch artist and she just traveled for work and sketched the entire way! You can find her on instagram at bdrawsthings - enjoy!